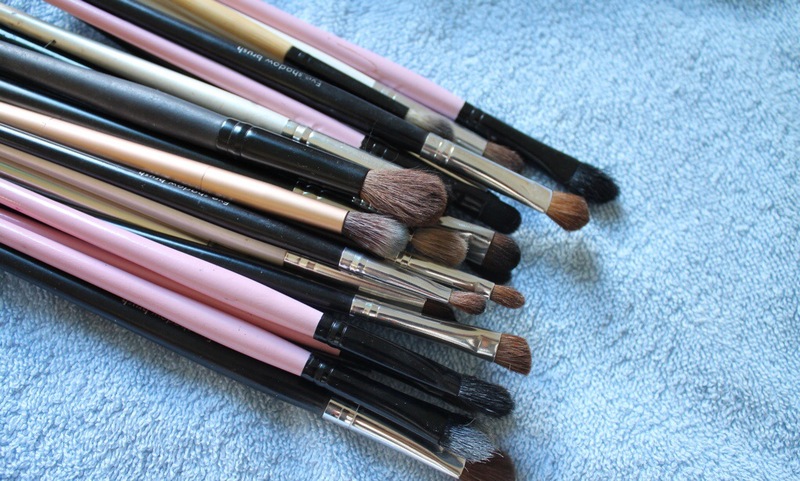 Today’s blogpost will cover how to properly clean your makeup brushes. If you are new to makeup and not sure what makeup brushes to use you can check out my Beauty basics: Makeup Brushes post to find out what brushes you need and what to use them for. 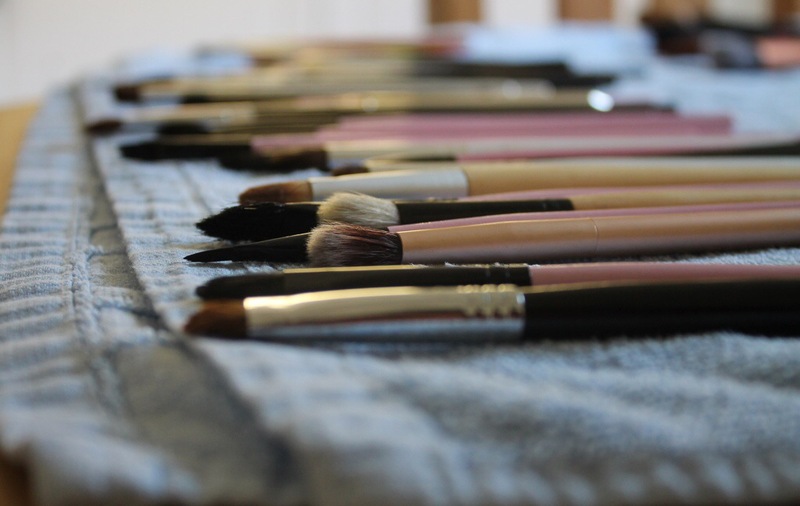 Makeup brushes that have been used several times are dirty and contains germs and bacteria. By using dirty makeup brushes on your skin old makeup and bacteria transfer to your skin, which can clog your pores and cause acne. 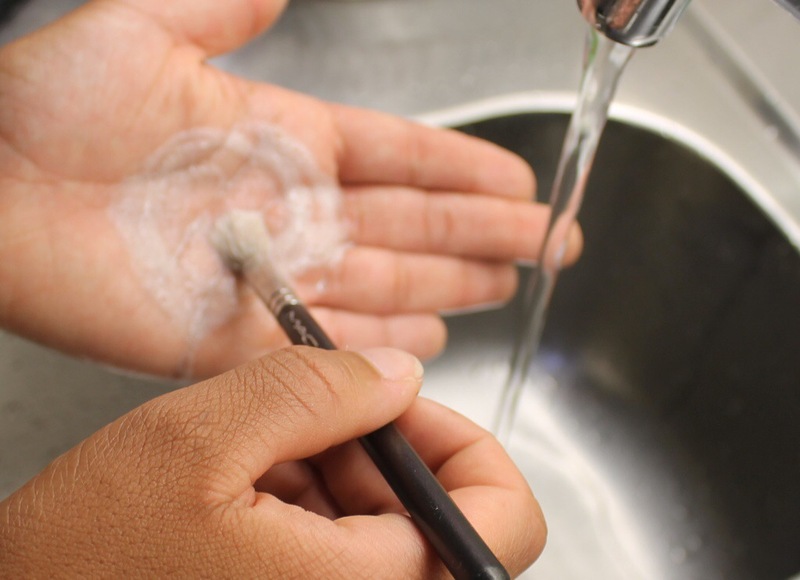 To avoid germs and pimples on your skin you should at least clean your makeup brushes once a week. If you have severe acne it is recommended to clean your brushes after every use. 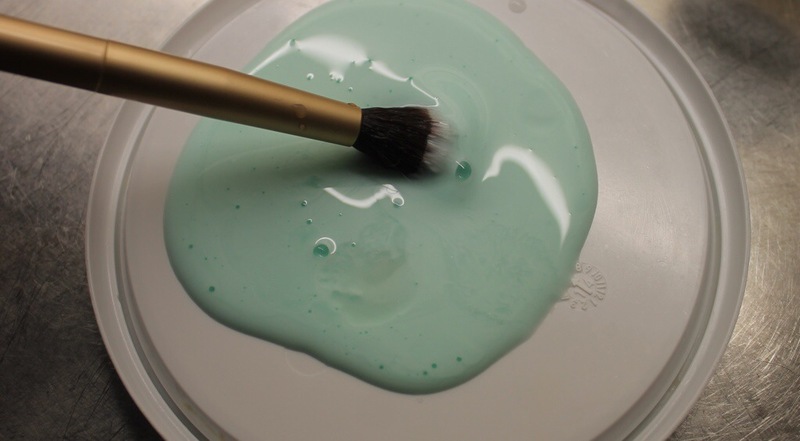 ♡ Start by running the bristles of the brush under lukewarm water. ♡ Soak the bristles in shampoo. I would recommend using a mild shampoo e.g. baby shampoo. Use a generous amount of shampoo when cleaning foundation, concealer and powder brushes to get them completely clean. ♡ Rub in the shampoo gently in the palm of your hand and rinse the bristles under water. 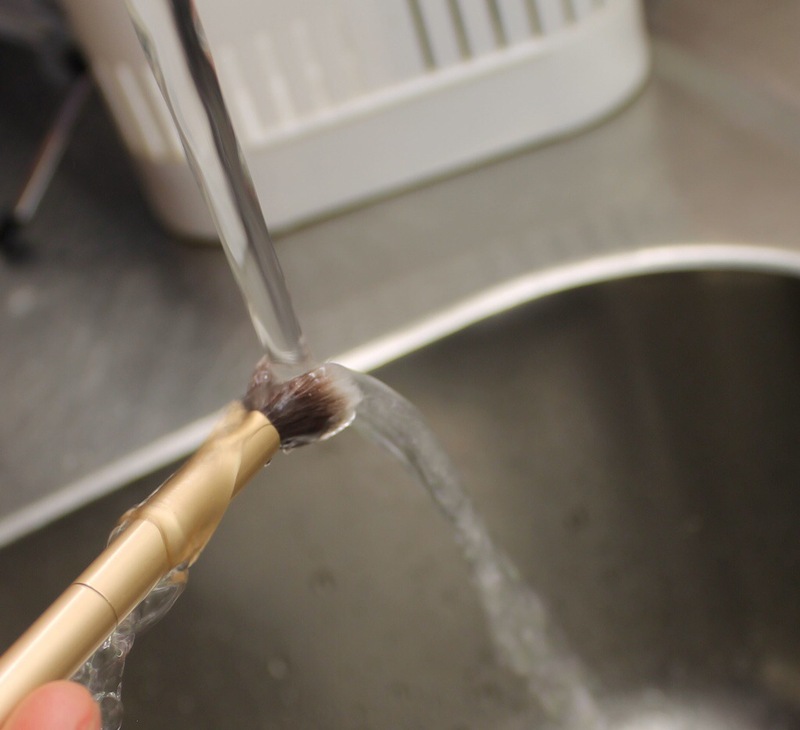 Rinse the bristles until there’s no more visible foam and make sure to get into the middle of the bristles and not just the outside. ♡ Blot the bristles on a clean towel. Lay the brushes on a towel overnight. Spray a “Spray Cleaner” that contains alcohol after cleaning the brushes, to make sure that all germs and bacteria are gone. 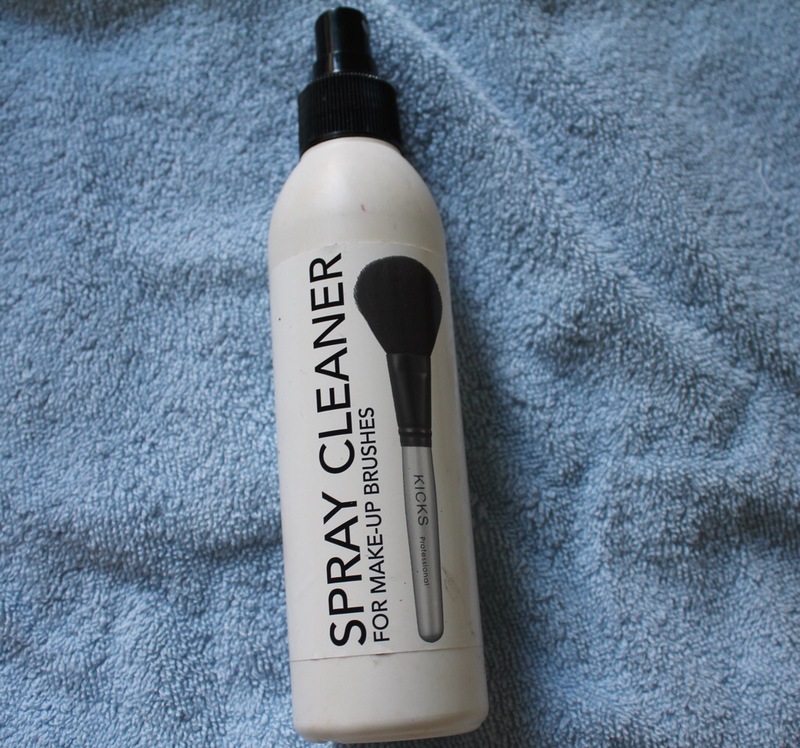 I like to use this spray cleaner when I’m working on clients and myself to quickly clean my brushes. You simply spray some product on the brush and rub the bristles on a tissue paper, the bristles are clean and dry within a few seconds. Amazing! Great post! I really need to get in a better habit of doing this. 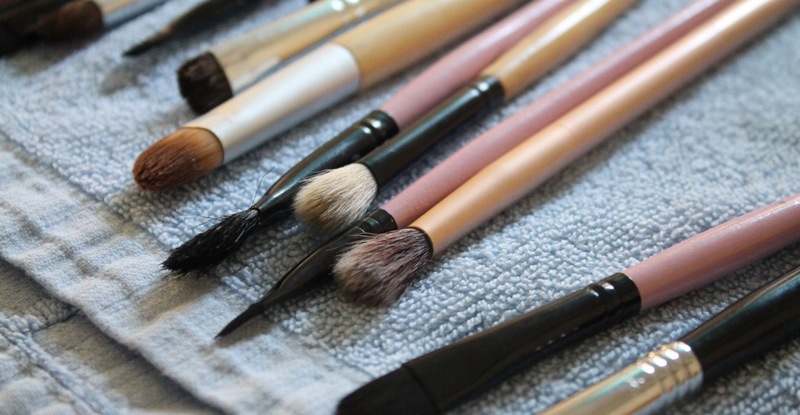 Great Post, I hardly clean my makeup brushes which I really should I’m always getting blemishes! !